Shareholders to vote on move at the end of the month. 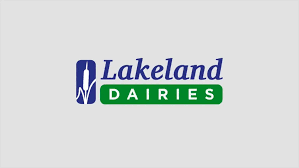 Lakeland and LacPatrick dairies are about to merge, according to BBC Northern Ireland. A final decision will be subject to regulatory approval. The proposed new co-operative would trade under the name Lakeland Dairies. If approved, the merger, says the broadcaster, would make the operation Ireland’s second largest dairy co-operative, with a supplier base of more than 3,000 dairy farmers, and a combined annual turnover of over €1 billion. According to a report by Shannonside FM News, former president of the ICMSA Pat O’Rourke has meanwhile stated that he believes the proposed merger makes perfect sense. O’Rourke, says the report, also believes that it’s only a matter of time before Aurivo and Lakeland will merge.